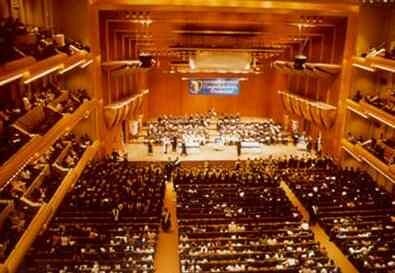 The Opera Orchestra of New York performed at Avery Fisher Hall. Who will he choose, the big question of the evening. The magnetic South African baritone, Fikile Mvinjelwa, sang the role of Nelusko. The incomparable Marcello Giordani sang the role of Vasco de Gama. Chiara Taigi was mesmerizing as Selika, a role Meyerbeer worried might be too difficult for any soprano. Ellie Dehn, a lovely lyric soprano. Eve Queler, who founded the Opera Orchestra of New York, began her program with a recording of Richard Tucker singing Vasco de Gama in Giacomo Meyerbeer's L'Africaine. 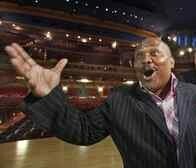 He performed with Queler and the Opera Orchestra of New York more than forty years ago. 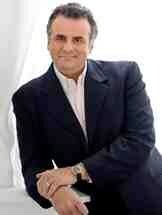 For decades, Queler has brought wonderful but seldom produced operas to the concert stage. L’Africaine is no exception. Marcello Giordani headlined as de Gama, but every single performer was A list, making for an extraordinary evening of song and drama. Giordani was in spectacular voice, and had ample opportunity to display it. As the sole survivor of a shipwreck, he picks up a rapturous clarinet melody underneath a flute tremolo in the slow section of "O paradis sroti de l'onde,î the operaís most familiar aria. In a love duet with the 'Africaine,' they together magically modulate from F# to Eb. The list could go on and on because Meyerbeer never scrimped on melodies. Even his recitatives are carefully constructed for lyric opportunities. Despite the constraints of the concert form, Giordani wore his heart on his sleeve, depositing kisses, holding hands and les embraces. All the small roles were beautifully executed by Calderon, Gacia, Guagliardo, Nance and Stayton with fulsome and compelling voices. Daniel Mobbs, who made a mark in the role of Normaís father at Caramoor last summer, was an admirably sonorous and moving bass as the President of the Council and prospective mate for Inez, who preferred de Gama. The plot thickens and thickens. All the principal roles offer big challenges, but they are well worth it. The music is simply gorgeous and an opportunity for singers to shine. South African baritone Fikile Mvinjelwa certainly shone. As Nelusko, sold into slavery but then liberated, he is at the center of the drama. In "Fille de roi," he moves from an homage to his queen in stately, double-dotted rhythms to a cabalette, alluding to his love for her. Mvinjelwaís superb acting is apparent even in concert form, but his touching baritone reaches out with an unusually open tone and yet his control is firm. He is a baritone to watch. And what a gentleman! He kissed the hand of his duet partners; he kissed the conductor's hand. Ah, but he can show his bad side too. He accompanied mock jovial music with macabre laughter as he waited for a monster to avenge him. Harold Wilson, who made his Met debut this year as the jailer in Tosca, brought his stunning bass to the role of High Priest. 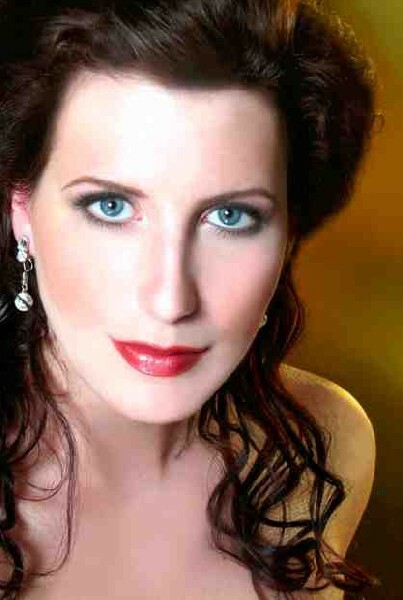 As Inex Ellie Dehn swept in swathed in red silk and sang in a glamorous lyric soprano. Her opening romance "Adieu mon bon rivage," soared. She was delightful as a romantic heroine who goes off into the sunset with de Gama after L'Africaine releases him. From her entrance in the first act, Chiara Taigi commanded the stage with a rapturous voice and dynamic range. She has performed in every house in Italy and smaller houses in this country. Her voice is seamless and her lower range particularly striking. She can hit the high notes too. One of Meyerbeer's reservations about the opera, which he struggled with for over twenty years, was that no soprano could do the role of Selika justice. Taigi certainly did. Singing "Air du sommeil," she enchanted. Changing costumes three times during the evening, a slinky brown to suggests her origins in Africa, then a shimmering sequined grey-black as she sings the gorgeous aria about her love for the imprisoned de Gama, and finally in funerial black silk, as she realizes that she must give up de Gama and sniffs the poison of nearby trees to collapse into the arms of Nelusko, whose love she does not reciprocate. Any impresario in the audience would have signed her immediately. Eve Queler has done it again, in bringing forward great talent. Meyerbeer's music is glorious, with the lovely lyrical lines reminiscent of Mozart, and thundering brass, forecasting the future. There are the conventional 'frozen moments' when many of the principals sing beautiful melodies together like 'Eh bien, sous libre par l'amour.' Under Queler's baton, the orchestra and chorus performed the many subtleties and turns of this opera. Trumpets heralded a palatial scene from the upper right balcony, as necks craned and the audience smiled in surprise. Even in concert form, Queler delivered an epic production. Now that the experimental side of Meyerbeer's music is coming to light, many agree that Wagner's musical drama and esthetic concepts would have been unimaginable without Meyerbeer's forays into program music. He used the latest instruments of his day, bass clarinet, bass tuba and stahorns, to create remarkable and exquisite sound combinations and paved the way for modern concepts of tone color. L'Africaine has four principal basses, but that is four less than Boris Godunov. If you've seen Esther at the New York City Opera and Midsummer Night's Dream at the Lyric in Chicago, it's easy to imagine a lush and evocative, but cost-conscious set for L'Africaine, formed mainly from highly decorated scrims. An audience does not need 40 tons of metal at 40 million dollars to be entranced. Imagination shows us that less can be more. Certainly Eve Queler flew high and free last night with only music, performers, a chorus and an orchestra. The other queen of New York opera, Dr. Agnes Varis, provided financing for a lottery in which 500 twenty dollar tickets were awarded. The house was packed with an audience young and old and everyone was thrilled.